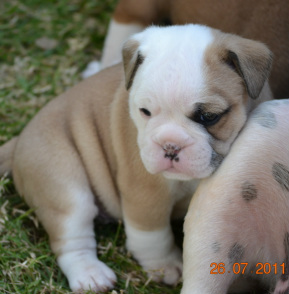 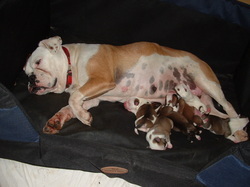 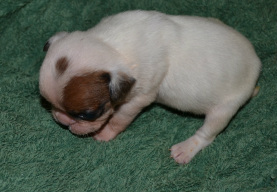 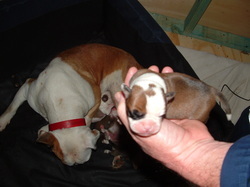 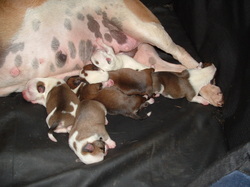 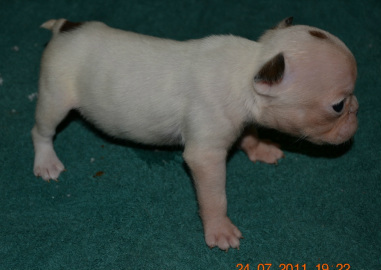 Minnie has had her pups on the 25th of June 2011. 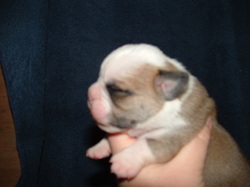 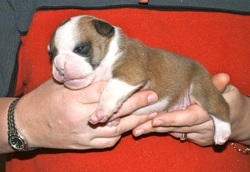 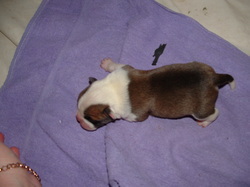 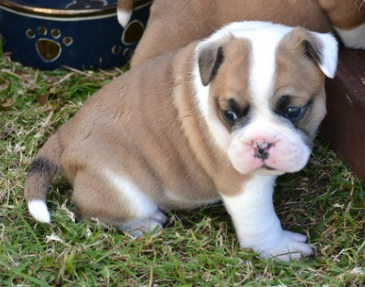 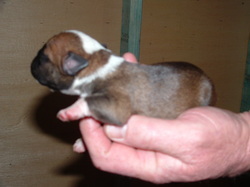 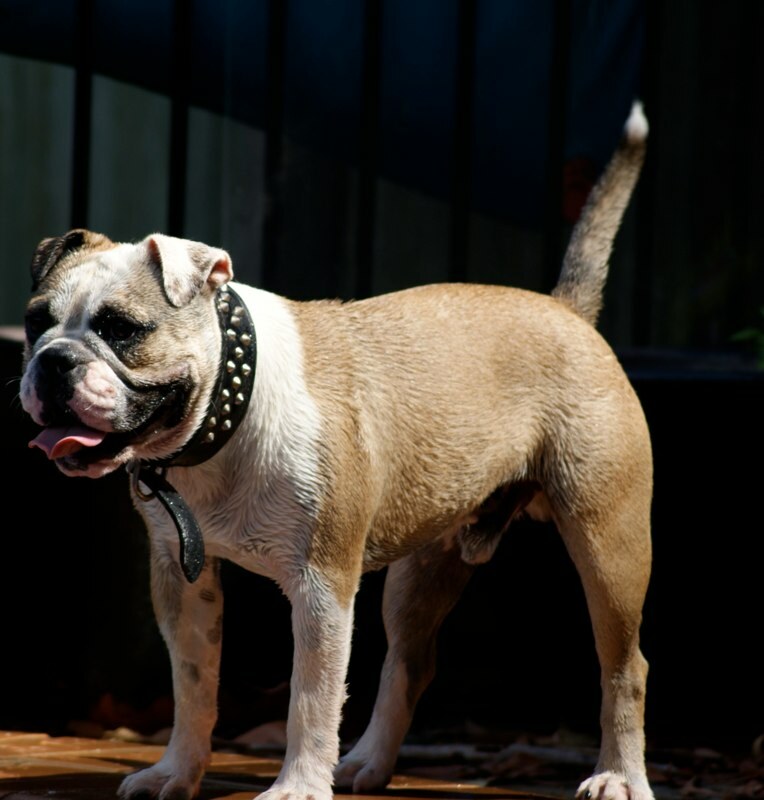 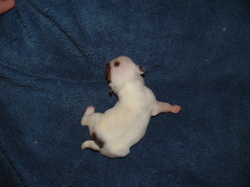 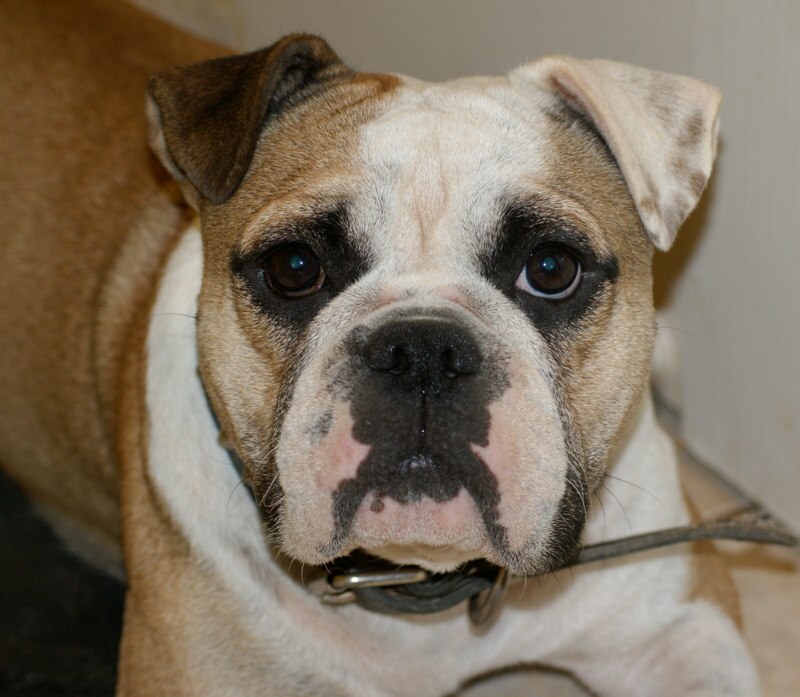 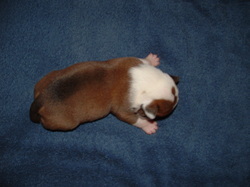 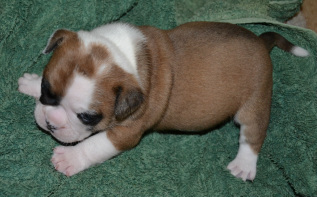 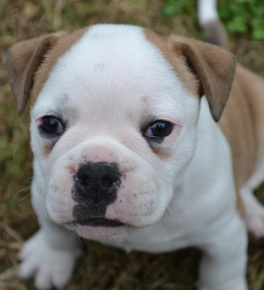 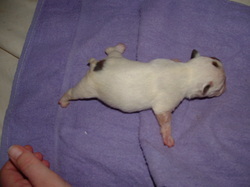 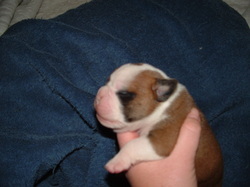 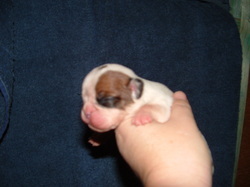 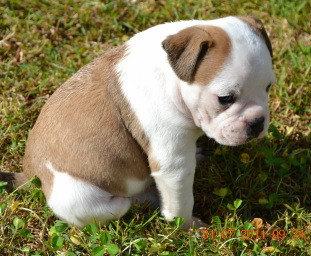 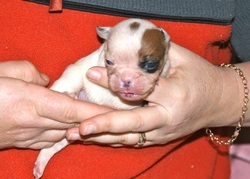 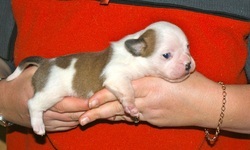 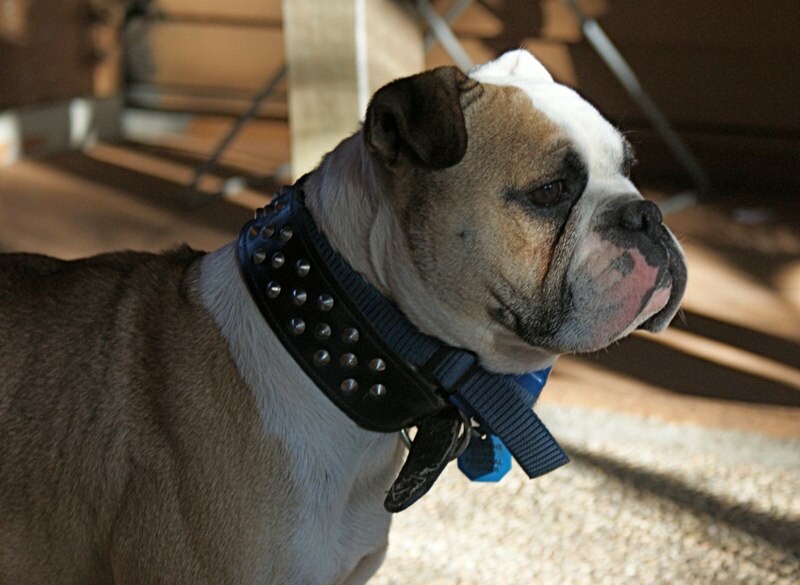 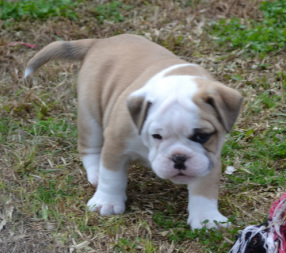 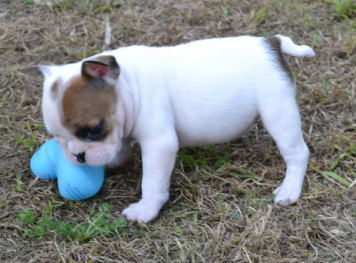 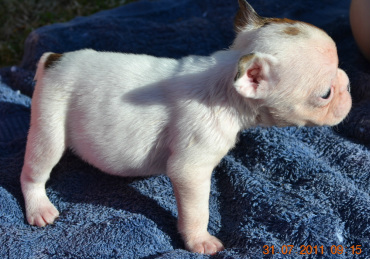 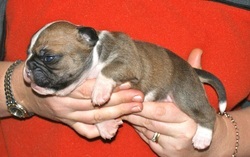 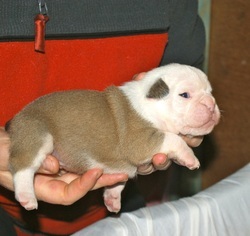 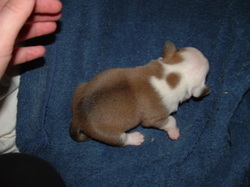 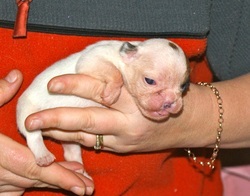 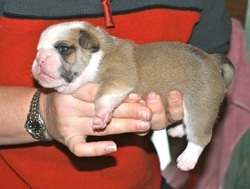 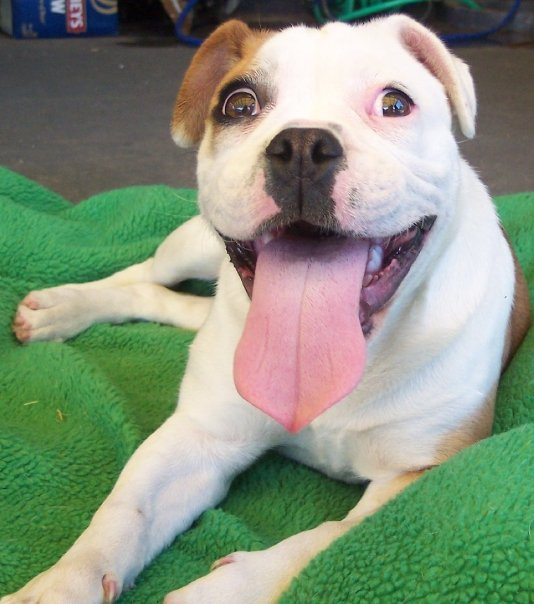 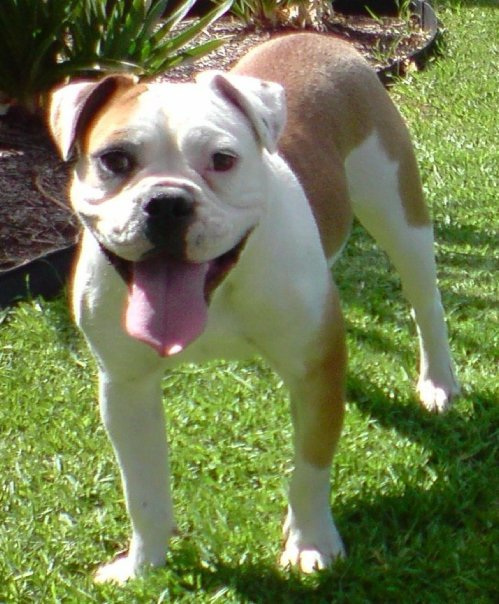 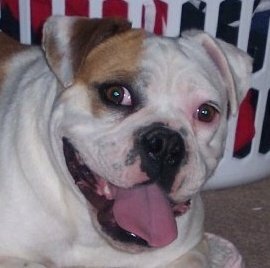 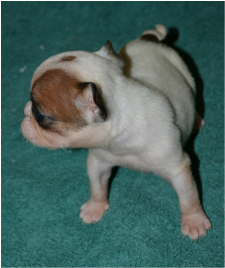 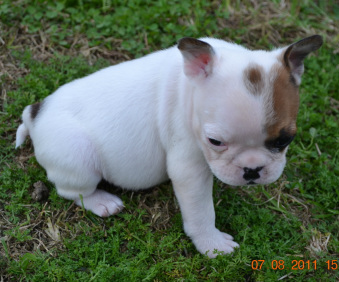 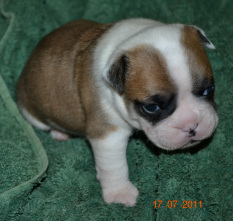 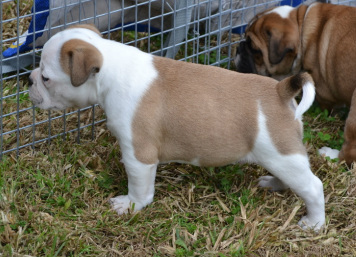 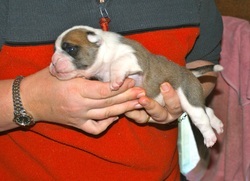 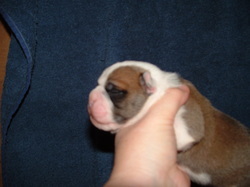 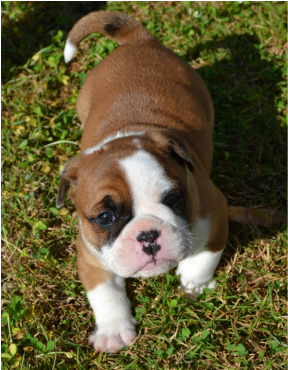 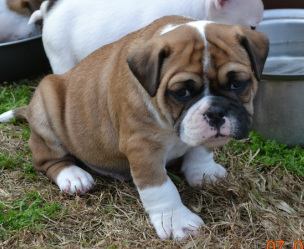 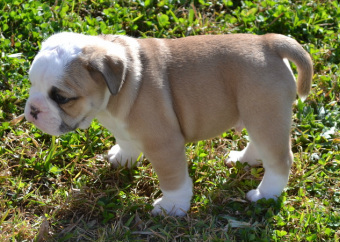 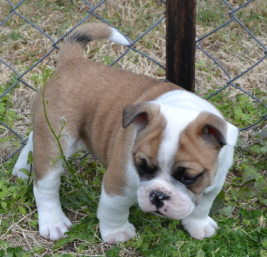 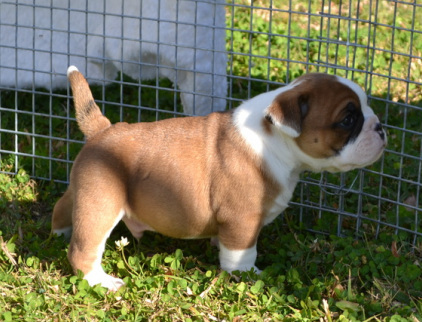 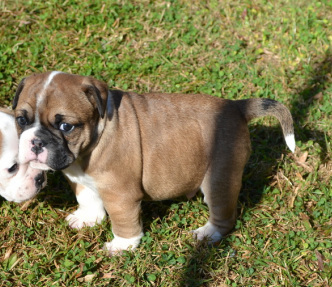 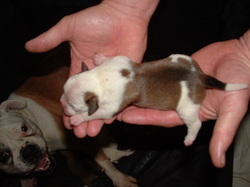 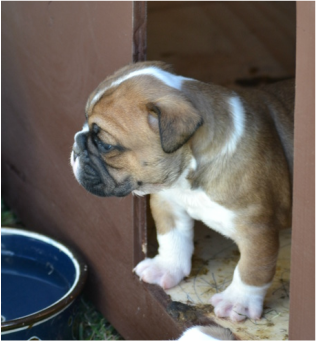 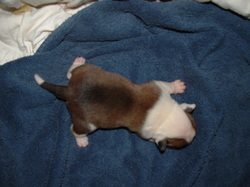 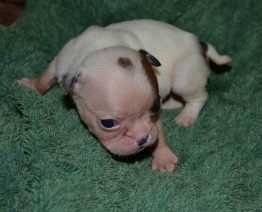 Out of Minnie by Blackjack Gus (from Jay-Tee Miniature Australian Bulldogs). 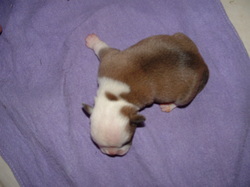 This is Minnies first litter and is doing well. 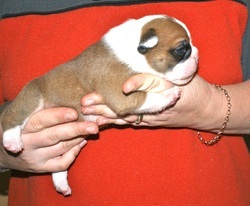 More photo's and details will be posted in the next few days. 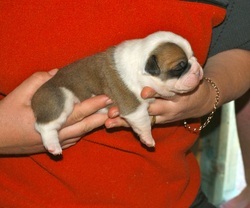 Minnie is very big now and due the last week of June. 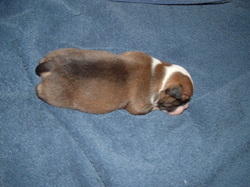 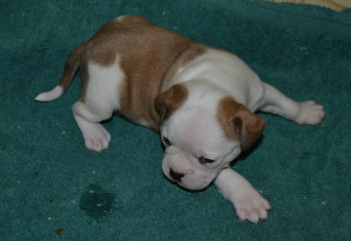 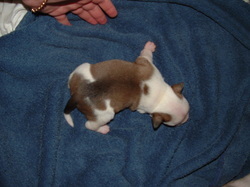 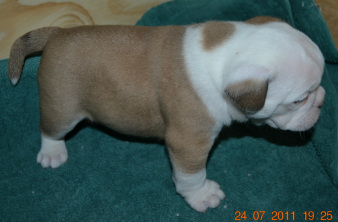 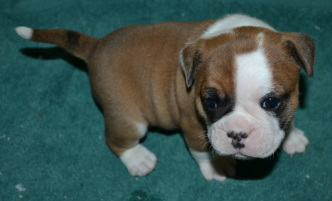 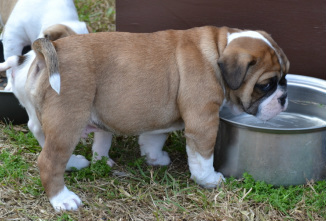 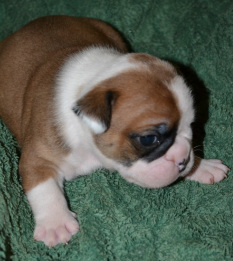 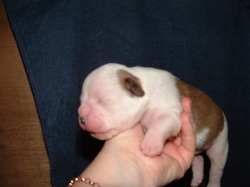 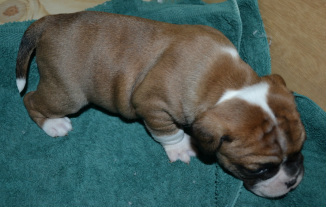 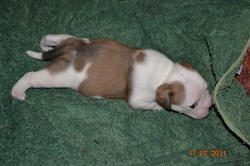 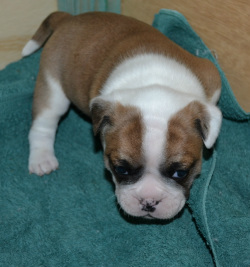 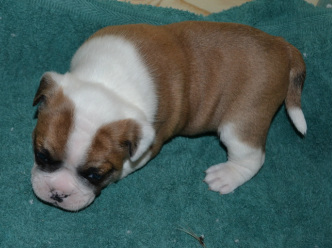 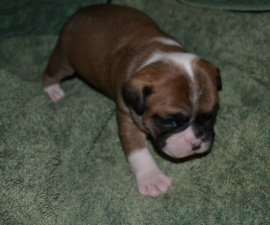 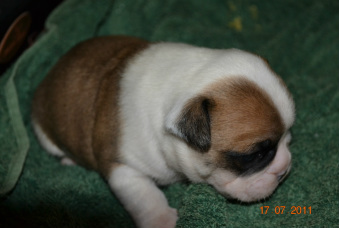 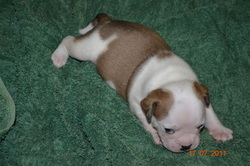 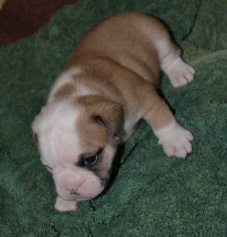 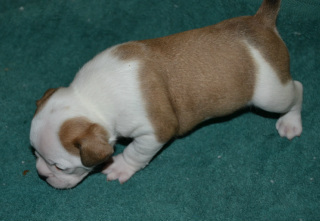 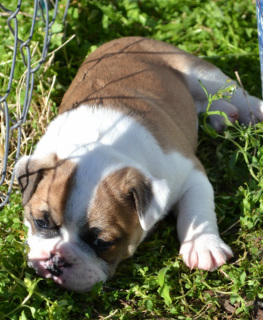 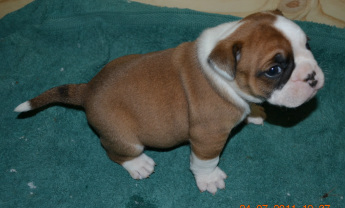 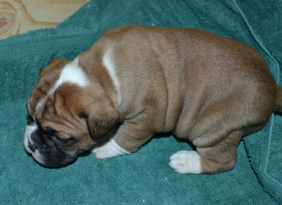 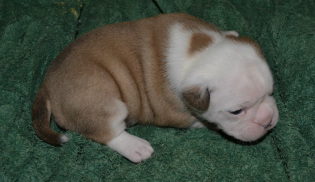 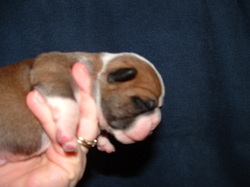 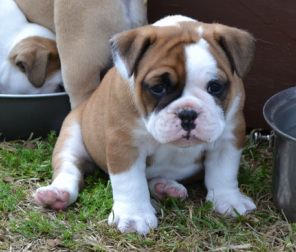 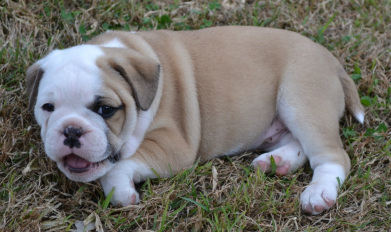 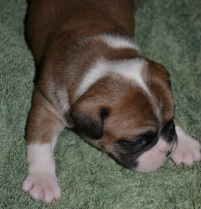 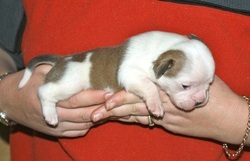 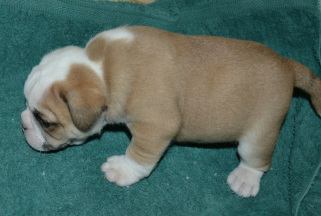 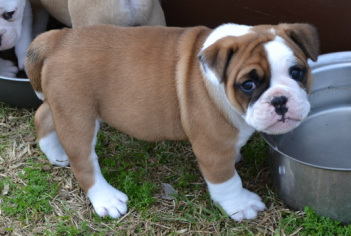 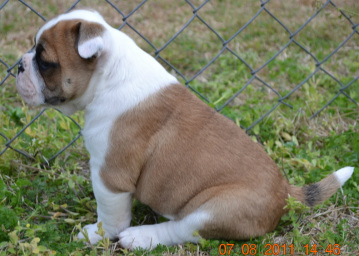 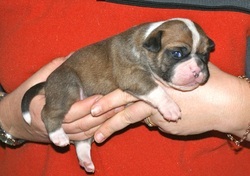 PUP 2 Male (SOLD) "THOR"